Syncromatics has completed installation of more than 100 digital signs at Los Angeles Metro bus shelters. 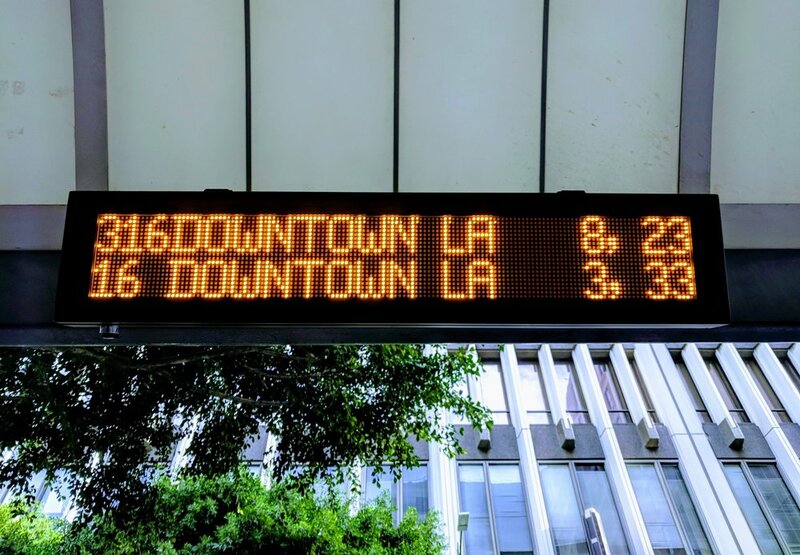 The LED signs display real time bus arrival information for LA Metro and several of Los Angeles’s other regional transit providers to help enhance the passenger experience. We are also deploying digital transit signage projects for Anaheim Resort Transportation, where many out of town visitors will rely on signage for real-time bus information. Continuous, streamlined communication increases passengers’ mobility options, allowing them to make more informed choices about their journeys. But since there are many settings where riders board the bus, a variety of sign types may be required. Therefore, our signage solution includes many sign options, from solar to grid powered, LED to LCD, and our software is hardware agnostic so that agencies can control messages using just one powerful tool. To learn more about Syncromatics digital signage: visit our signage page. Syncromatics wins LA Metro's $4M signs contract. 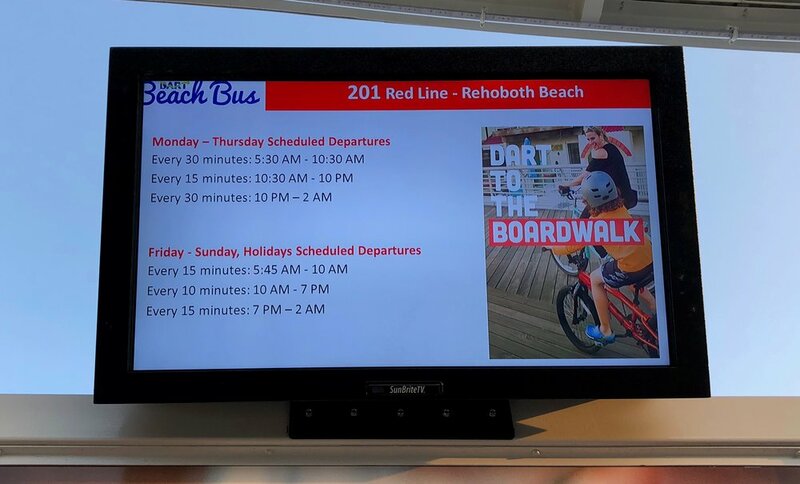 DART has activated their new outdoor digital signage system, consisting of high-brightness LCD screens which display arrival information and multi-media content. Using a web-based content management system, the agency has control over the information riders use to plan and understand their trips. The agency can schedule important one-time or recurring announcements, display multi-modal connection info, and control which signs display certain messages. The LCD screens are built for all climates, carefully sealed to withstand contact from rain, condensation, wind, and direct sun. Read the full story from DART, here. Syncromatics demonstrated its Transit Infotainment solution at the Digital Signage Expo in Las Vegas. We collaborated with Enplug, an open platform for developers to create visual playlists for their audience. The Enplug platform gives agencies control over their content and brand without requiring special training or graphics skills. Syncromatics has built an app, available in the Enplug store, that allows an agency to display real-time information such as arrival predictions, next stop information, real-time connecting route data, multi-modal connections, and other multi-media content such as weather, news, traffic. At the Expo, best in class solutions in entertainment, hospitality, and aviation set a high bar, and we are inspired to bring this high touch experience to public transit riders. 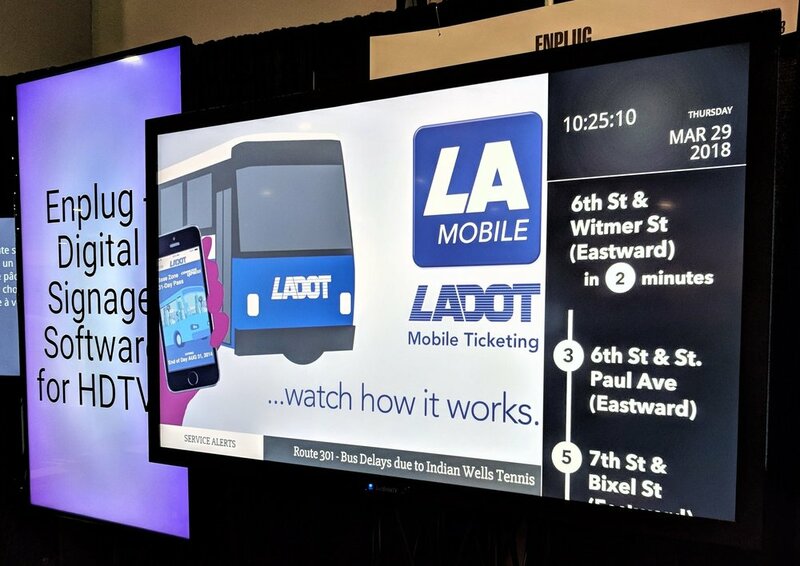 This January, we teamed up with LA Metro to discuss digital signage in transit. We described the benefits a well-executed signage program brings to agencies, the obstacles and how to overcome them, and the real progress made in delivering better real-time passenger information across LA’s vast system. Across the country, Syncromatics delivered industry presentations on topics ranging from data enhancement for riders to integrated CAD/AVL and electronic fare collection. 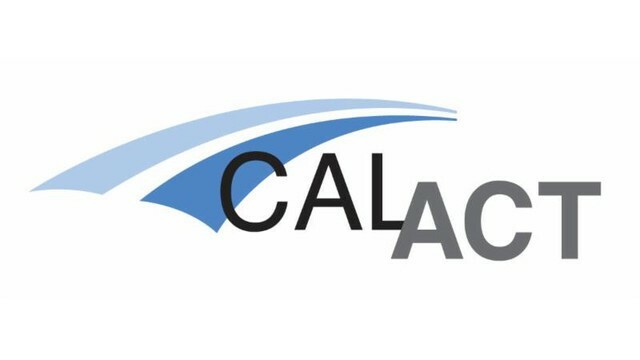 At CalACT Spring Expo, Syncromatics presented on the topic of using data to enhance performance and reliability in transit. Steve White, Director of Product, used a rider’s experience as the best barometer of how data is working for you. We were also proud sponsors of the event, and gave away prizes to thank participating transit agencies. At APTA’s annual TransiTech Fare & Revenue Collection Conference in Jacksonville, FL, Syncromatics gave presentations focusing on CAD/AVL integrations with electronic fare collection and on-board infotainment. We demonstrated how to use the Syncromatics OpenMDT as a point-of-sale device to turn every bus into a ticket window and allow passenger accounts to be managed by connected card readers in real-time. Steve also showed how Syncromatics’ infotainment system can be activated with dynamic, real-time content such as multi-modal connections, same-day announcements, RSS feeds, live traffic and more. At APTA’s Bus & Paratransit Conference in Tampa, FL, Alex Fay (VP Business Development) presented the benefits of paperless pre-trip inspection. We revealed how to eliminate paper, prevent communication errors, and reduce violations through intelligent reporting. Our parent company, GMV, designed and implemented advanced smartcard systems for rail transit in the bustling city of Santiago, Chile. GMV’s work will involve a total of 80 Ticket Vending Machines (TVM’s), plus 150 additional compact vending/recharging machines. All these machines will serve to replace personnel-attended ticket windows. Electronic Fare Collection promises to cut costs for agencies across the board in the U.S., as more technology providers contribute solutions with lower overhead costs, more data collection, and more agency control. The additional capabilities brought by smartcards are crucial for a city like Santiago, whose Line 6 train alone handles an average of 110,000 daily riders, across a 10 mile track surrounded by 1.1 million people. In January, the City of Pullman, WA, home to Washington State University, launched Syncromatics’ technology on its 21 vehicles in time for Spring semester. The city relies on real-time arrival predictions, but needed a mobile portal for riders. It was also crucial that Pullman’s transit system be adaptable from season to season, when routes change around the University. In a short matter of days, we replaced Pullman’s incumbent system and implemented Syncromatics. We worked together on the new Pullman Transit mobile app, giving it customized branding and user-friendly features. Before students returned from Winter break, the new technology was displaying accurate times, responding to route shifts, increasing ridership and reducing complaints. Los Angeles airport buses now feature realtime tracking and arrival predictions using Syncromatics technology. 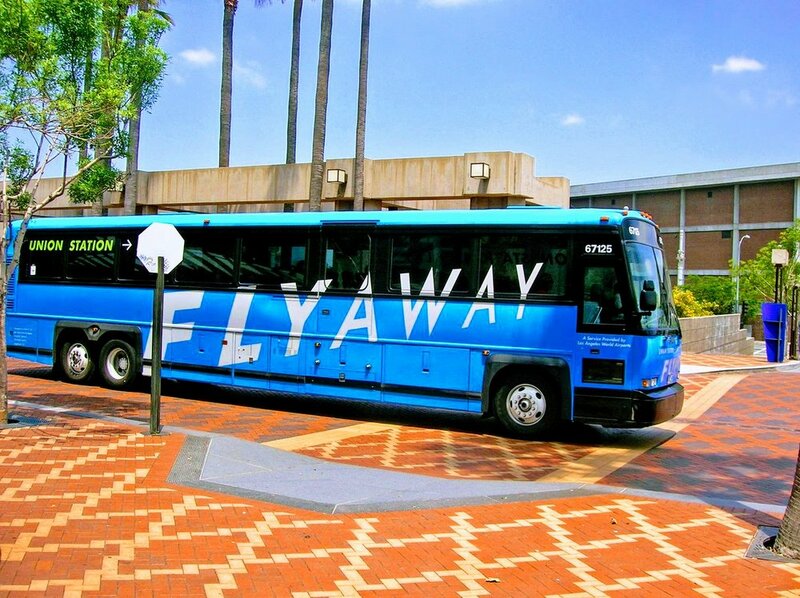 MV Transportation migrated several LAX Flyaway routes without requiring the procurement of new on-the-bus hardware. We now track each vehicle and provide a turnkey passenger information portal to airport goers. This partnership gives Syncromatics direct experience managing software user access rights in a tiered structure of operations. Since signing, we have implemented our cloud-based tracking and dispatch with over 30 of MV’s clients. Syncromatics volunteered at the LA Regional Food Bank. We packaged over 10,000 lbs. in wholesale donations by separating foods into nutritional categories, and then repacked them for distribution to families in need. The organization upholds healthy meal standards for their donation recipients, and uses a system of weighing each category of food to ensure distribution of balanced meals. To make your own donation or volunteer at the LA Regional Food Bank, visit their site here. Introducing Scott, who joined Syncromatics in 2017. Scott designs the future of our Demand Response and Fixed Route software products. Prior to joining, Scott wrote for urbanize.la, highlighting ridership trends and the latest developments in transportation. He earned a Master of Public Administration from Cal State LA.